Fractional plates, also referred to as micro plates or change plates, are used for making small increments in lifts to accumulate small and consistent weight gains. Continue to make small strength gains, even at your physical limit. Break through plateaus while continuing your weight training. Increase your lift weight in smaller increments, without risky lifts. Smash your personal best sooner, one lift at a time, safely. Small, consistent gains slowly turn to decent gains. Watch your PBs grow with this great value set of fractional plates. 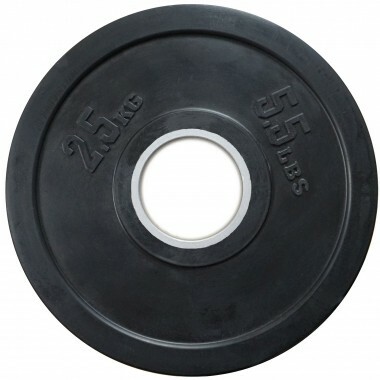 Fractional 0.5kg plate for standard barbell users. 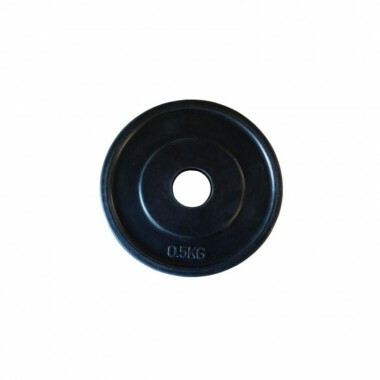 Fractional weight plates are smaller denomination plates, typically under 5kg, and come in 0.25kg, 0.5kg, 0.75kg, 1kg and 2.5kg. Generally weights under 1.25kg are the most popular for micro loading. Smashing personal bests by 10kgs sounds great in theory but if you think this happens often you are in for a big disappointment. The secret to building serious long-term strength is to accumulate small and consistent gains. This is where fractional or change plates come into play. Every lifter will hit a plateau at some stage. No matter how hard you try, change up your diet or program, you just can’t beat that previous best. Some lifters will pursue all sort of complicated methods to set a new PB, while overlooking the simplest. After years of selling gym equipment, I still sometimes have to beg customers to take 2.5kg plates – sometimes even 5kg plates. We have all seen the Ronnie Coleman bodybuilding videos where he just goes up in 45lbs plates. There are many more factors than just piling on plates that made Ronnie so big! If your lowest weight plate is a 2.5kg, then you will be trying to break your bench press PB by 5kgs. For an intermediate or experienced trainer this is massive. Not only in terms of the jump in weight, but also the physiological aspect. This is where you need some fractional plates. They are almost mandatory for any lifter regardless of their experience level. Even if you are not a serious powerlifter or Olympic lifter, a set of fractional plates will always come in handy. Weight training is all about getting stronger. Even if you are just starting out on a basic weight training program you need to be focused on lifting heavier weights over time. Your basic program might involve training on a plate loaded leverage multi gym – a far cry from the competitive weight lifting environment. However, the same rules still apply. Eventually you will start to plateau. If each workout you can add a little extra weight to each lift, you can continue gaining strength without sacrificing form. This is how you get stronger injury free. For advanced lifters, powerlifting and weightlifting programs are based around percentages of one rep maximums or similar. These numbers can always be rounded up or down to the nearest 5kg increments. But for some lifters and coaches, the exact numbers must be followed. The further you progress in lifting; the margins are reduced. Power Maxx – is an entry level product, which will be more than enough for most lifters. 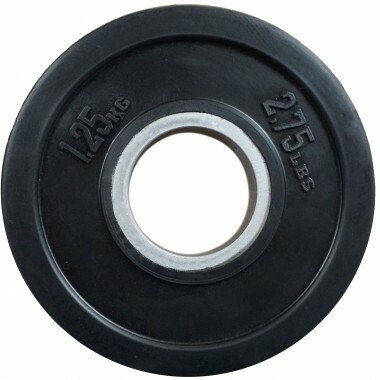 For the inexperienced lifter, all you need is a pair of our 1.25kg and 0.5kg rubber coated Olympic plates. These will give you a lot more options in increasing weight. As you progress you might look at investing in the Power Maxx 5kg Fractional Set. 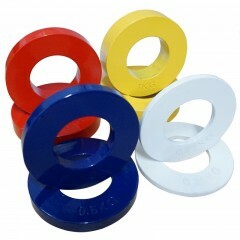 They are colour coded allowing you to easily identify the plates. They include a pair of 1kg, 0.75kg, 0.5kg & 0.25kg plates. 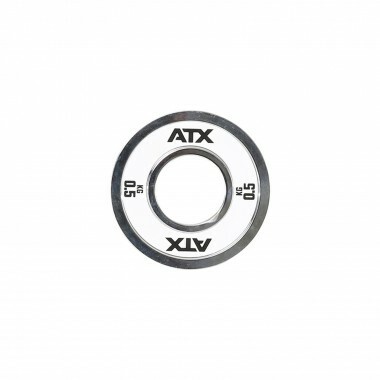 ATX offers fractional plates in 0.5kg & 1kg. They are made from steel as opposed to cast iron. This makes them extremely compact and they have minor weight variances. They look great too! Power Maxx is the way to go for most of the athletes. 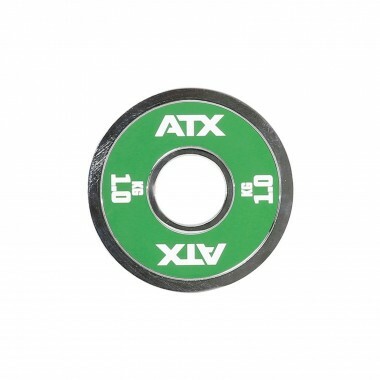 They might not be as precise as the ATX Powerlifting Fractional Plates, but unless you own competition specification equipment you should not worry about it.